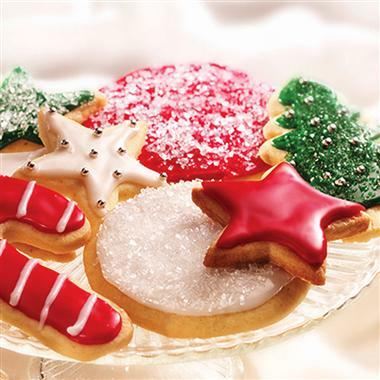 Think you have no willpower to avoid the cookie tray? Think again. You can overcome sugar cravings and avoid falling victim to a sugar binge. I’ll share some tips. First off to get you motivated, let’s look at the ways sugar wrongs us. You know how it is: once you have one, you can’t stop there. You have another and another, then you crave sugar and think about it all day. It’s an evil roller coaster. Stay off it. Let’s say you start your morning with coffee and a pastry, or coffee and nothing at all (after all won’t skipping breakfast help you lose weight? And coffee suppresses appetite. That’s a good thing, right?). You probably feel pretty good until you crash, then you’re starving, jittery, anxious, moody, irritable. You eat lunch, probably too much because you’re starving and you miscalculated your hunger needs, and you probably feel tired as all your energy is diverted into digestion. Or, you eat more sugar and put yourself back on the roller coaster. Or you get a wicked sugar craving later in the afternoon or evening. Your brain and body need glucose to survive. When your body perceives that blood sugar is getting too low (either from skipping meals, eating too much sugar, or starting your day with a sugary muffin or juice, or grain-based foods–like oatmeal–that break down into sugar), it sends you a signal that it needs fuel. You get hungry. When you eat sugar, in the form of white sugar, white flour (breaks down quickly to glucose), alcohol, sodas, candy, cookies, pastries, etc, your body uses a hormone called insulin to transport the glucose to your cells for usage. When you eat too much sugar, too much insulin ushers too much glucose into cells, leaving not enough in your blood. This means your blood sugar has dropped too low, so you crave sugar again to bring the levels back up. Start your day with protein and good fat: NOT cereals, bagels, oatmeal, croissants, yogurt & granola or pastries. When your blood sugar drops too low and you crave sugar, what you actually need is protein. For breakfast have an egg scramble, a protein smoothie, or chicken sausages sauteed with spinach and topped with avocado. Click here for breakfast suggestions. Eat every 4 hours to maintain stable blood sugar. Avoid grains at breakfast & lunch. They can contribute to the 3pm crash/sugar craving cycle. Stick to protein and veggies. Avoid refined sugar! Seems simple, but the more you eat, the more you’ll crave it. Save the desserts for special occasions, not every day. Coconut palm sugar is a good replacement in baking, as it’s low on the glycemic index and won’t jack your blood glucose levels. Before parties, eat a protein-based snack like organic cold cuts or beef jerky or hard boiled eggs or apple with almond butter. Don’t show up ravenous! Watch the booze intake: it’s pure sugar and can lead to hypoglycemia, making you hungry, likely to overeat, and prone to making poor choices when you do eat. Drink water between cocktails and try to cap it at 2 drinks. Sugar cravings are more than just a mental struggle–there is a physiological reason you crave sugar, and once you’re on the rollercoaster, it’s hard to overcome. Don’t feel like a failure if you blow it–it goes way deeper than willpower, and all you need to do is get back on that horse the next day. The day after a sugar binge, start off with 8 ounces hot water and the juice of 1/2 a lemon to detoxify, and drink green vegetable juices if you have access (celery, parsley, green apple, cucumber, ginger makes a nice blend) to alkalize the body; sugar is very acidic. Then stick to protein & veggies & plenty of good fats, like avocado, throughout the day to reset yourself. 500 mg – 1000mg of glutamine really helps some people. Break open the capsules and empty under your tongue, then swallow with water. certain minerals like chromium help arrest sugar cravings–you can often find them in blood sugar balance blends with other herbs or nutrients to help stop sugar cravings. Examples are gymnema, alpha lipoic acid, and even cinnamon. Body Ecology Ancient Minerals is awesome. Try this crave arrest to help balance brain chemicals that can cause cravings. have a cup of green tea. It may sound preposterous, but we sometimes mistake hunger or craving cues for thirst, and the minerals in green tea give you a boost. Minerals in general also help stop sugar cravings. Drink lots of green juices–very high in minerals! have a protein snack using suggestions above. As I mentioned, when blood sugar is low, you actually need protein, not sugar. Stick to dark chocolate —it has health benefits–or truffles over hard candy, and bring treats that don’t contain refined sugars to parties. It’s ok to treat yourself every once in a while, and I often recommend sugar busting snacks in the afternoon, like coconut butter or coconut oil melted with almond butter and a bit of honey– that can satisfy a craving. Remember that indulging in too much sugar every day will only make sugar cravings worse, so save the treats for parties and special occasions. In the meantime, here is my favorite awesome sugar free indulgent fudge recipe that will wow your friends. raw food, dairy free, no added sugar! *note: for the most hassle free result, use food processor. you can also use blender, but it takes longer. 1/2 cup organic unrefined virgin coconut oil, melted. Place raisins or chopped apricots in small bowl and cover with boiling water, about 2 inches above raisins/apricots. Soak 5-10 minutes. Do not drain. Spoon out of bowl and reserve water and fruit separately. Add almond meal, carob, coconut oil, vanilla, cinnamon, fruit to food processor or blender; blend well. Add 4-5 tbsp of water from fruit soak and blend again. Add more for desired consistency; mixture should be thick like cookie dough. Note: if you are using blender, you’ll have to intermittently stir and re-blend until smooth. Transfer to 7×7 glass pan. Refrigerate until coconut oil sets the batter like fudge. Keep refrigerated; lasts for weeks and freezes well. Cut into 25 or so squares.